The S117 is a 1U 17" Rackmount LCD with 104-keys keyboard featuring standard SUN hot keys. 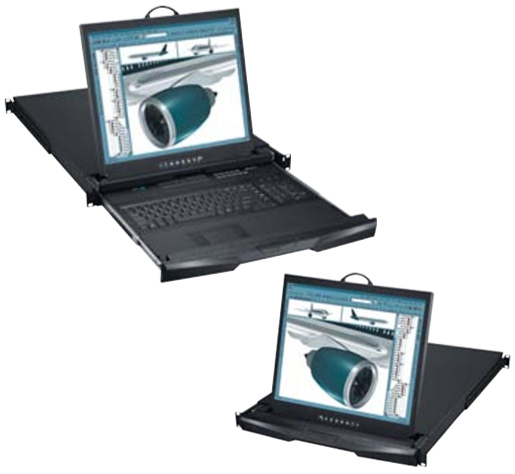 This rack mount monitor features a 1U slim design, adjustable brackets, built in LCD OSD to provide effective assistance for an administrator to control PC system. Single Console 1.73 x 17.4 x 18.1 in. Console w/ KVM 1.73 x 17.4 x 22.8 in.